This is gross, so I apologize in advance. 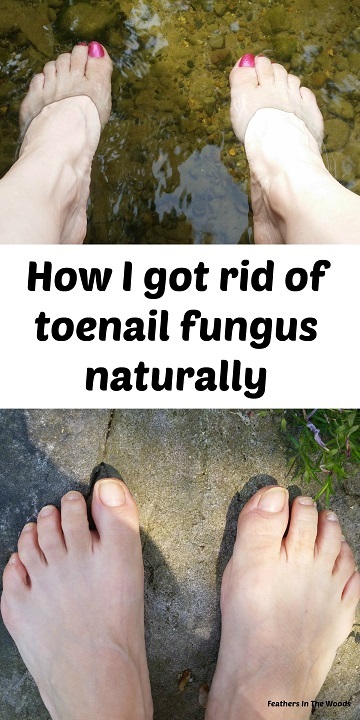 Unfortunately somewhere over the course of summer I ended up with toenail fungus. Was it from the shower's at the gym? Something I stepped in by the lake? Did I pick it up at the pool? Who knows! What I do know is that it is painless and it moves slowly, so when I first noticed it I may have already had it awhile. I also know that every over the counter treatment I tried failed completely. I considered getting a Rx for it but was hesitant to put a medication in my whole body just for my toe. Finally I decided to try essential oils since I'm really more of a natural healthcare chick anyway. I was absolutely amazed when it only took a few weeks to start seeing results from this simple treatment! Let's go back to the beginning. It started when I removed my nail polish one day and noticed a spot at the top of my right big toe. It was under the nail and it was slightly yellow and went into the nail bed a bit. I thought maybe I bumped it somewhere and part of it had bruised so I grabbed some tweezers and used one side to scrape out the yellow stuff. I cleaned it up with some rubbing alcohol, repainted and thought that was it. A few weeks later when I was changing my polish again I noticed it went down further under my nail now. I figured I had a problem so I looked it up online and found WEB MD's site. I realized it was nail fungus and decided that I better get something to fix it so I headed to the drugstore. It was August when I bought a popular brand of nail fungus treatment and started using it. Almost 2 months later there was still no progress, in fact it had gotten worse. I decided to try another OTC product but it was so strong it dissolved my nail polish every time I put it under my nail! This product didn't help even a little bit and think of how strong and toxic it had to be to eat away nail polish! 3 days of that was enough. I tried one more drugstore product for about a month before I decided to do more research and turn to essential oils. I learned that fungal infections like the warm socks and closed toe boots I was wearing since it was now fall. 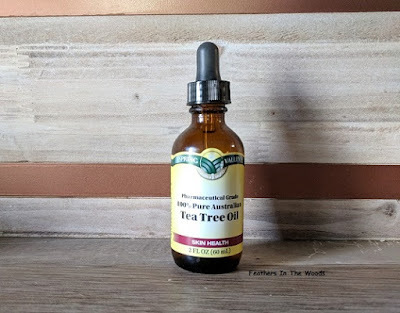 I turned to Tea Tree oil since it has anti fungal properties. Since fungal infections thrive on warmth and moisture I decided to clip away every bit of the affected nail. I very gently clipped it away with cuticle clippers then soaked my foot in epsom salts and warm water for about 15 minutes. I then used a washcloth to gently rub off the affected skin. I buffed the edges of the nail smooth with an emery board that I then threw away. It wasn't uncomfortable at all, but if you do this and it feels unpleasant just stop and move to the next step. I then dried my feet well and used a q-tip to apply tea tree oil to the whole nail. I started by applying the tea tree oil 3 times a day. After the nail started growing in healthy I switched to twice a day, morning and night. I was doing this about a month when I realized that I probably had it on both feet since a toenail on the other foot had started to thicken considerably. I also noticed the toenail next to the original problem nail seemed a little thicker *sigh*. I started applying the Tea Tree oil under and on top of those nails also. It took several months for the first toenail to grow back in completely and during that time I applied the tea tree oil twice daily to all 3 nails. Unfortunately, it's not uncommon for nail fungus to spread to other nails. I caught these 2 issues much earlier though so they cleared up rather fast. It was 6 months total between when I started using the Tea Tree oil and when the nail was completely grown back in and fungus free. While I am extremely grateful I managed to clear it up without having to take oral medications long term, it's easier to simply avoid getting fungus to begin with. Sadly it's not something you can see and since it is spread by contact with other people who have it, places like pools and shared showers are a breeding ground for this type of fungus. Dry your feet thoroughly after showering, bathing or swimming. Wear sandals or breathable shoes as often as possible. Let shoes dry overnight before you wear them again. Do not share nail files, clippers, or other nail care tools. Wear socks inside your shoes. Wear flip-flops in walking areas of water parks, pools and other wet public areas, such as locker rooms or showers. If you manage to get toenail fungus and tea tree oil doesn't clear it up for you, check out these 10 other essential oils to control nail fungus. Hopefully I will never have to deal with this again, but at least I know there is an effective remedy using essential oils if I do! Want more posts on using essential oils for your health? Click here for my other posts on essential oil uses! This is great. My husband has a nail fungus that he has been dealing with for years. He too took meds that did nothing. We will try this. Thanks so much for sharing. Visiting from Lou Lou Girls. Great! I hope it works for him too! Amazing! Pinning - never know when this will come in handy. Thank you for sharing with us at Brag About It! Awesome! Thanks for the pin! Isn't Tea Tree so amazing?!? I swear by it, especially for disinfecting and anti-fungal uses! Thanks for joining the Link-It To Me Link Party, I hope you will party with us again next week! It is! I use it for so many different things! I will see you at the party this week! Very useful information. Thank you for sharing at Wildcrafting Wed. and congrats on being a featured blogger. I may be sharing this with my dh. I do believe that my dad has used tea tree oil to help with toe nails. It way better to go the nail route then chemical. Exactly! It's so much better to use natural remedies whenever possible. Who know what all those chemicals can be doing to our bodies! Oh that could be worrisome. Thanks for the helpful tips. I have heard applying garlic directly helps. I have never heard of using garlic for toenail fungus but it could help because of its natural anti-inflammatory properties. I'll have to give that a try if I have this problem again! Thanks. I have a problem with toe fungus and didn't want to take medication either. So I had resigned myself to just sucking it up. However, I am definitely going to try this tea tree oil instead and hopefully can clear mine up too! Definitely use the tea tree oil! I was so thrilled that it worked and while it probably took a little longer to clear up than medication would have, I much prefer the pharmaceutical free approach! Oh no! This doesn't sound like fun. It's always good to have natural remedies on hand, just in case though!